Chevy Chase is at his hilarious best as Irwin Fletch Fletcher, a newspaper reporter who changes his identity more often than his underwear. While working on a drug expose, he stumbles onto a scam that gets him up to his byline in murder, police corruption and forbidden romance. For this ace newsman, it'll be the story of the year, if he can only stay alive till the deadline. Featuring all-new bonus features, Fletch: The Jane Doe Edition is a must-own comedy-thriller classic. Just don't call him "Irwin"! $7.022 million on -unknown- screens. Once upon a time, Chevy Chase maintained a pretty good movie career. Those days ended years ago, but his work from the Eighties still maintains a decent fan base, as evidenced by the Blu-ray release of 1985’s Fletch. In this comedy, we meet investigative reporter Irwin “Fletch” Fletcher (Chase). While on a story, a businessman named Alan Stanwyk (Tim Matheson) offers Fletch $1000 to listen to a proposition. Stanwyk claims he will die from painful bone cancer, so he wants someone to end things for him. He offers Fletch – posing as a drifter junkie under the pseudonym of “Ted Nugent” – $50,000 and a guaranteed escape to murder him. Fletch smells something fishy, which is why he accepts the job: to find out the truth behind Stanwyk’s strange request. Through the rest of the movie, Fletch investigates the story and all the requisite twists. Fletch finds Chase in full Axel Foley mode. Indeed, Fletch shows a Beverly Hills Cop influence from top to bottom. How much of this consciously borrowed from the earlier flick and how much came as a coincidence remains to be seen. Fletch made it to movie screens only about half a year after Cop’s debut, so the Chase flick would already have been well under way when Murphy’s effort became a smash. Still, the similarities – such as a Harold Faltermeyer score that rips off his own work for Cop - appear too close for the viewer not to believe that Fletch did its damnedest to elicit moviegoer memories of Cop. Not that it succeeded – at least not at the box office. Fletch’s gross was almost exactly one-fifth of Cop’s stunning $229 million take. In retrospect, though, Fletch’s $46 million doesn’t look bad, at least not for its era. I’d guess that $46 million in 1985 would equal over $100 million today, and Fletch went onto become a minor cult classic. Does it deserve that status? Probably – while not a great movie, the flick delivers some laughs and maintains a consistent level of entertainment. Actually, I think it’d work better if it felt less like Cop. Fletch sure comes across as Chase’s take on Axel Foley. He shows the same ability to adapt to all sorts of settings and challenges, and the movie milks the situations for the same kinds of laughs. These manage to succeed, as Fletch forges its own identity. Despite all the Cop similarities, it stands on its own and produces a pretty entertaining experience. To my modest surprise, Chase provides the best aspects of the movie, as he gives us a firmly deadpan performance that works well for the role. He never comes across as cocky ala Foley, but he’s not too bumbling either. Chase’s Fletch seems self-assured enough to make us buy his investigation but not to see him as invincible. Fletch doesn’t exactly boast a deep story, but it manages to be just intriguing enough to keep us involved. The plot throws out a few nuggets at a time to make sure that we want to see where it’ll go even though the comedy remains the main attraction. This means that we can’t quite see where it’ll go until we get there, and I appreciate that. Too many flicks of this sort telegraph all their twists, so it’s fun to find one with some unexpected turns. I also like the understated nature of Fletch. Director Michael Ritchie keeps matters subdued for the most part and doesn’t overplay the gags or slapstick. Although a few big sequences occur – like a car chase – much of the flick sticks with subtle jokes that reward the viewer’s attentiveness. Fletch doesn’t wow us right out of the gate, and it lacks the kind of stellar lead performance that illuminated Beverly Hills Cop. It also sags and drags at times, but it usually stays entertaining and amusing. This is a low-key effort that pays off with a fun experience. Fletch appears in an aspect ratio of approximately 1.85:1 on this Blu-ray Disc. Due to some avoidable mistakes, this was a problematic transfer. On a superficial level, sharpness seemed acceptable, but a closer look revealed issues. Wide shots tended toward softness, while close-ups lacked real detail. That occurred mainly due to the use of too much digital noise reduction, as that technique smoothed out definition. No jagged edges or shimmering occurred, but I saw quite a lot of edge haloes throughout the movie. These ranged from mild to heavy and created consistent distractions. The image eliminated most source flaws – I noticed a couple of specks - but tended to wobble in a noticeable manner. With a resolutely natural palette, the colors of Fletch seemed passable. They seemed a bit heavy but weren’t bad in the greater scheme of things. Blacks were dark and tight, while shadows appeared decent. Though a few low-light shots could be a bit murky, the flick usually presented adequate definition through its shadows. Despite a few good elements, this transfer suffered from too many issues for a grade above a “C-“. 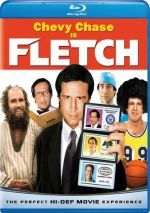 Although Fletch comes with a DTS-HD MA 5.1 soundtrack, you shouldn’t get too excited about that prospect. The results seemed decidedly low-key and didn’t do much to open up the soundfield. The movie’s score provided the best use of the various channels, as the music showed decent stereo imaging and spread to the rears to a mild degree. Otherwise, this was essentially a monaural mix. The effects stayed heavily focused on the center channel and rarely expanded to the rest of the domain. Actually, I find it hard to recall any movement in the sides or rears; other than the music, this track basically remained bound to the front center speaker. Audio quality never excelled but seemed fine. Speech was concise and distinctive, with no edginess or other distractions. Music showed good range and definition. The synth-heavy score offered nice reproduction across the board. Effects were also clear and reasonably accurate, though they didn’t boast great dynamics. I didn’t think the track impressed, but it sufficed for a product of its era. How did the Blu-ray compare to the DVD from 2007? Audio remained fairly similar; the lossless DTS-HD MA mix had a little more pep but not a lot. Visuals were a mixed bag. While the Blu-ray offered superior definition, it suffered from so much noise reduction and edge enhancement that it couldn’t be viewed as a real improvement. 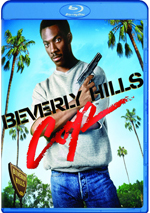 The Blu-ray reproduces the DVD’s extras, and featurettes come to the forefront. Just Charge It to the Underhills: Making and Remembering Fletch goes for 26 minutes, 34 seconds and comes hosted by disc producer Jason Hillhouse as he pursues his “inner Fletch”. Despite this quirky set-up, most of “Charge” goes down the standard path and we hear from a mix of movie participants. These include screenwriter Andrew Bergman, producers Alan Greisman and Peter Douglas, first assistant director Wolfgang Glattes, editor Richard Harris, associate producer/production manager Gordon Webb, and actors M. Emmet Walsh, Larry “Flash” Jenkins, George Wyner, Richard Libertini, Dana Wheeler-Nicholson, and Tim Matheson. We learn of the project’s origins and development, adapting the book for Chevy Chase, the cast and performances, director Michael Ritchie’s impact on the set, improvisation, editing and deleted scenes, favorite segments, and a few other production memories. I’m not wild about the framework Hillhouse uses for “Charge”, but it manages to provide a good recollection of Fletch. Though it obviously suffers some due to the absence Chase, other big names in the cast and late director Ritchie, it gets into the nuts and bolts with reasonable clarity. This becomes a pleasant and informative show. From John Cocktoastin to Harry S Truman: The Disguises fills four minutes, 54 seconds includes comments from Douglas, Greisman, Bergman, Jenkins, Matheson, Webb, Wheeler-Nicholson, hair stylist Bunny Parker and makeup artist Ken Chase. We get notes on changing Chevy Chase into the movie’s various characters adopted by Fletch. It’s a short piece but one that offers decent details about these aspects of the flick. In addition to the film’s trailer, we get the two-minute, 37-second Favorite Fletch Moments. This is just a montage of snippets without comments of any form. It’s not very interesting. Although I wouldn’t deem Fletch one of the best flicks to star a Saturday Night Live grad, it remains amusing after more than two decades. It throws out a fairly interesting story and more than enough good laughs to earn our affection. The Blu-ray comes with mediocre audio and supplements as well as flawed visuals. I like the movie but this becomes a semi-shoddy release.